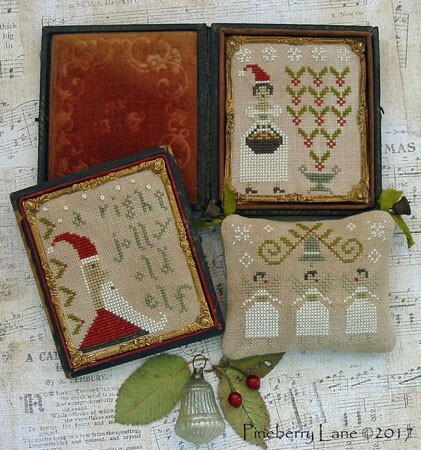 Three merry designs in one pattern! All use DMC threads and are stitched on 36 count Lakeside Linen’s Vintage Light Examplar. Perfect to fit inside an antique sixth plate Daguerreotype case – or finish each into a tiny pinkeep or ornament. Stitches include French knots, cross and straight stitches. 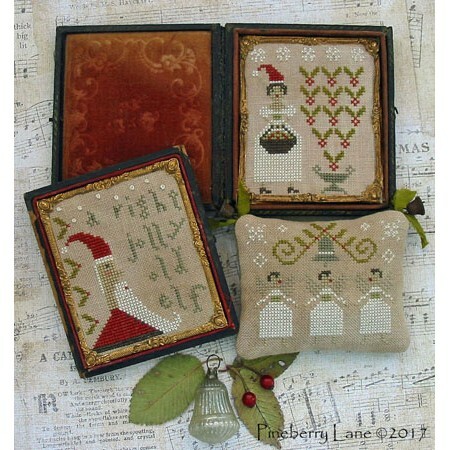 Pattern includes color photo, professional cross stitch chart with floss colors as well as directions for making a pinkeep and framing your pieces using antique Daguerreotype cases.